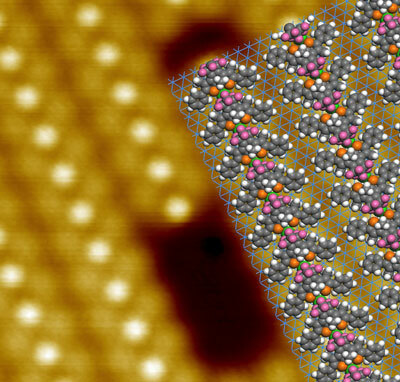 New work delves into the chemistry underlying some surprising recent observations about hydrogen and reveals remarkable parallels between hydrogen and graphene under extreme pressures. 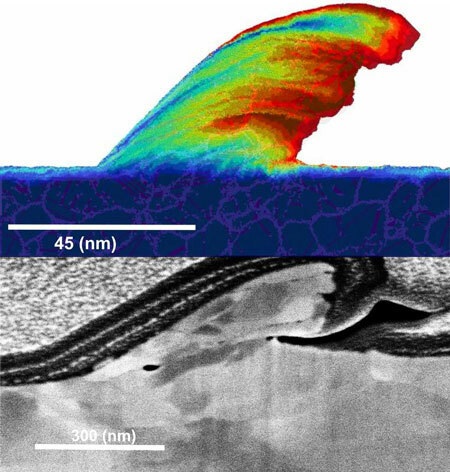 Researchers show which wear mechanisms take place on metal surfaces before the actual wear becomes apparent. Understanding such mechanisms is the first step to minimizing friction and wear. 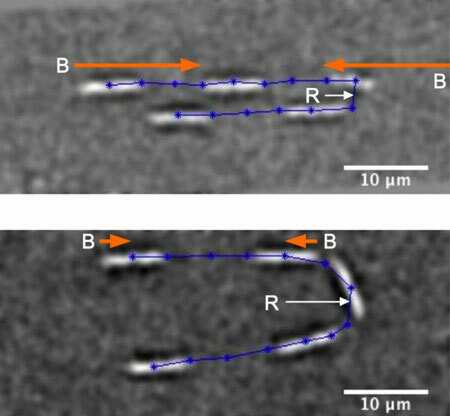 By changing the direction of a magnetic field, so-called magneto-tactic bacteria are able to make a full U-turn. They can be taught line dancing in this way, inside the tiny micro channels of a lab on a chip. 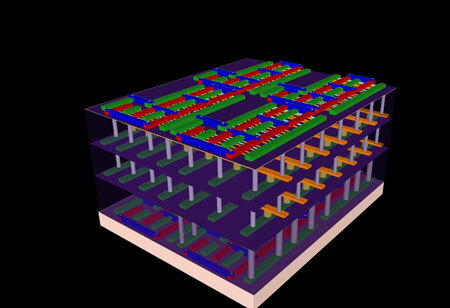 Researchers clear hurdles toward a new kind of 2-D microchip using different electron properties. 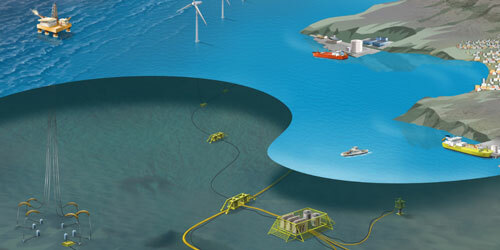 Embryonic faults in subsea high voltage installations are difficult to detect and very expensive to repair. Researchers believe that self-repairing materials could be the answer. Researchers have found a solution using visible light to reduce waste produced in chemically activated molecular switches, opening the way for industrial applications of nanotechnology ranging from anti-cancer drug delivery to LCD displays and molecular motors. 10Gb/s Graphene optical electro-absorption modulator outperforms state-of-the-art SiGe modulators. In the fight against global warming, carbon capture is gaining momentum, but standard methods are plagued by toxicity, corrosiveness and inefficiency. 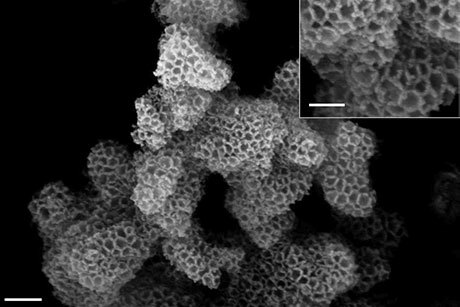 Using a bag of chemistry tricks, materials scientists have invented low-toxicity, highly effective carbon-trapping 'sponges' that could lead to increased use of the technology. 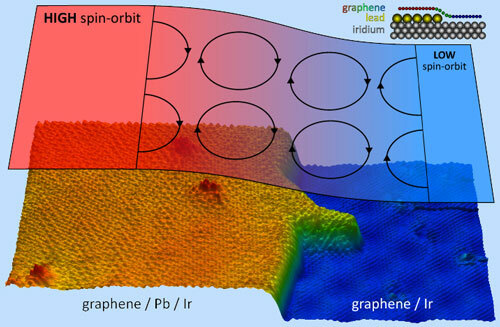 Researchers have discovered that if lead atoms are intercalated on a graphene sheet, a powerful magnetic field is generated by the interaction of the electrons' spin with their orbital movement. 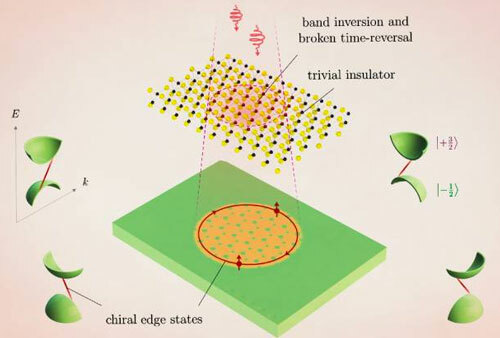 This property could have implications in spintronics. 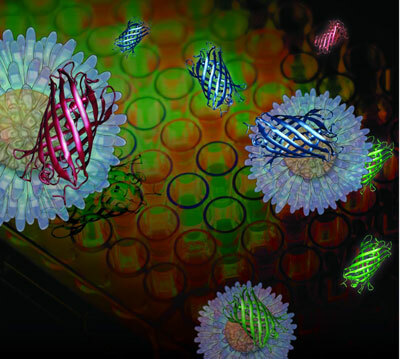 Traditional genomic, proteomic and other screening methods currently used to characterize drug mechanisms are time-consuming and require special equipment, but now researchers offer a multi-channel sensor method using gold nanoparticles that can accurately profile various anti-cancer drugs and their mechanisms in minutes. Scientists obtain vital control on the emission of photons. New work presents a supramolecular nanocage which encapsulates fullerenes of different sizes and allows the extraction of pure C60 and C70 through a washing-based strategy. Today circuit cards are laid out like single-story towns; Futuristic architecture builds layers of logic and memory into skyscraper chips that would be smaller, faster, cheaper - and taller. In new work, researchers find Ga ion vacancy is the critical factor that causes the high off-state current, low on/off ratio of GaTe FET and large hysteresis at room temperature through electrical transport measurements at variable temperatures and first-principles calculations as well. Recent research efforts have led to a new technique to magnetically deliver drug-carrying particles to hard-to-reach targets. The method has the potential to transform the way deep-tissue tumors and other diseases are treated. Self-arranging molecules produce ordered arrays that could form the basis for efficient optoelectronic memory devices.